“Version 5” of Hornet is here, and it’s a brand-new age for gay apps! Hornet was founded back in 2011 with a straightforward mission: to be the digital platform where gay men go to connect with one another. Today the app has more than 25 million users on the social network, chatting with guys near and far and reading stories that keep them entertained and informed. 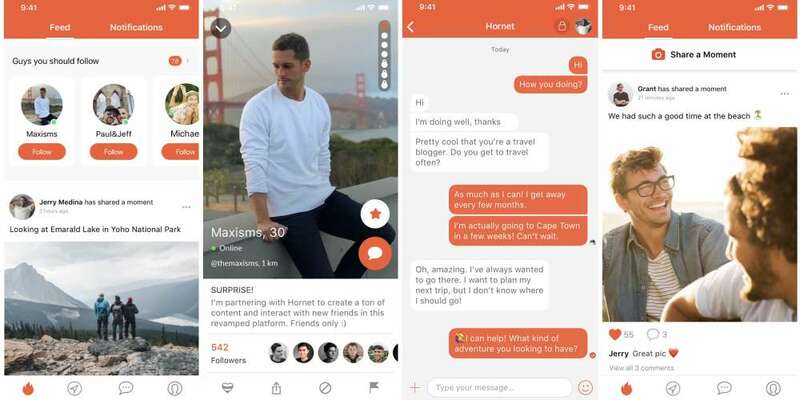 More so than any other app on the market, Hornet lets its users authentically connect in meaningful ways to guys with shared interests. Now, announced just this week, the new Hornet makes it even easier for guys to connect with millions. Unlike other gay apps on the market, the new Hornet app opens up onto a feed, meaning that while there’s still a grid of nearby guys, your feed is now the default home screen. And best of all, your feed is truly your feed, meaning it’s 100% personalized to your own Hornet experience, full of the guys you follow, their posts, nearby guys just waiting to make a connection with you, and select pieces of content chosen by our editors. Hornet users have long been posting “moments” onto their profiles — pictures that allow us to create a more complete and authentic picture of our daily lives. On the new Hornet, users are able to add captions and hashtags to those moments, really bringing them to life. So go on, say a little something. Speaking of saying something, here’s a new Hornet feature we’re really excited about — now, in addition to liking stories and other Hornet users’ moments, you’re able to leave a comment. We know you’ve got a lot to say, and now you can! 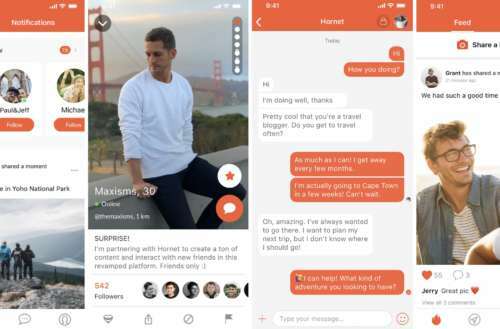 With more than 25 million Hornet users worldwide, there’s no shortage of dynamic, diverse guys to connect with inside the app, wherever in the world you may be. Even better, those millions of guys are sharing stories, posts and photos you won’t find anywhere else — people like famed actor, model and host Max Emerson; hilarious L.A.-based comedy writer and actor Michael Henry; Paul Katami and Jeff Zarrillo, Hornet contributors and two of the plaintiff’s in Hollingsworth v. Perry, the court case that legalized gay marriage in California; and Hornet’s own “queen on the scene,” Meatball, with whom Hornet produces the original web series Welcome to Meatland. Hornet is where you’re able to interact and keep in touch with them and get a first look at their latest projects. In addition to the thousands of articles Hornet users can find inside the app, from news and pop culture headlines to health, travel and entertainment stories, Hornet’s award-winning editorial staff has also created The Daily Sting, a roundup of the day’s most important queer news. 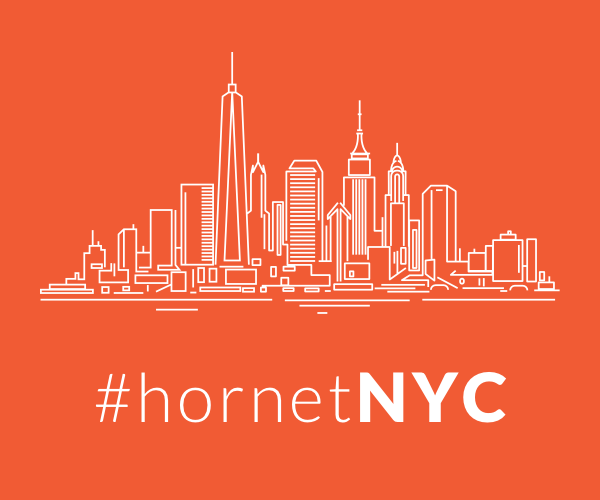 Hornet wants to keep our users knowledgable about the world around them, and now it’s easier than ever to stay informed. The new Hornet will be rolled out to existing users in phases the week of Oct. 15 and is available for download at Apple AppStore (iOS) or Google Play Store (Android) now!